Hello again! 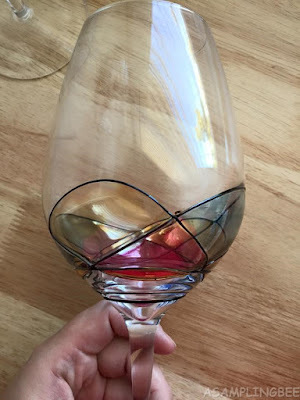 I share with you Valentina Paris' Wine Glasses! These babies are big! Big enough to hold a nice, large glass of Vino! 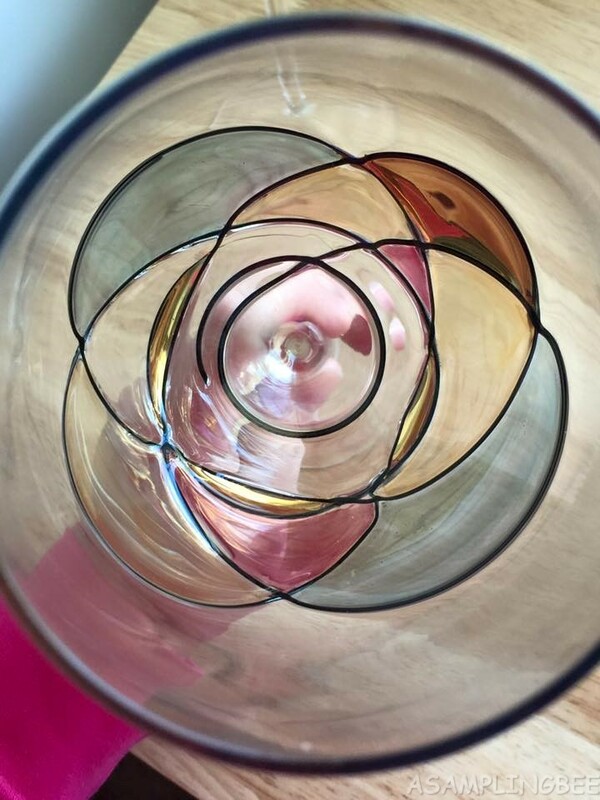 These Wine Glasses are designed in Paris by professional designers. Each one is individually made by a time-honored tradition called mouth-blowing. The design on the glasses are hand painted. The glasses are a perfect match for any occasion, be it an elegant dinner, casual get together, or relaxing evening with a good book. These wine glasses are something that you will re-use over and over again. The perfect gift for birthdays, anniversaries and weddings. 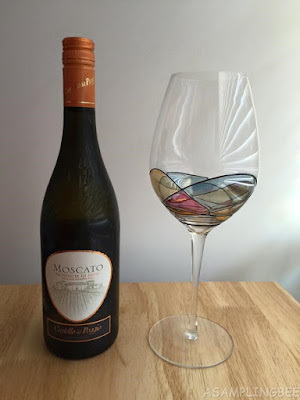 I love these wine glasses. 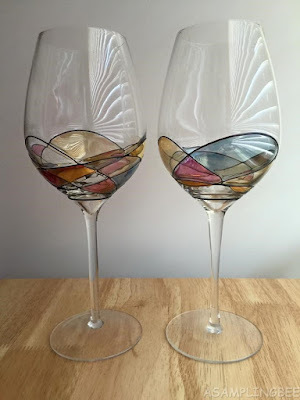 They're perfect for a big glass of wine after a looong day ;) The design on the wine glasses are so pretty. They were designed larger so that you can swirl the wine and smell its aroma before tasting it. I hand wash my glasses. They do not fit on the top rack of my dishwasher. I recommend these! They are beautiful!